British Prime Minister Theresa May on Sunday conceded that concluding a Brexit deal with the main opposition will need "compromise on both sides". 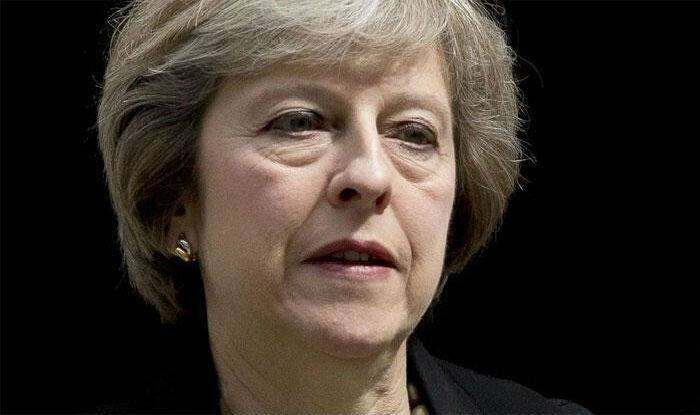 London: British Prime Minister Theresa May on Sunday conceded that concluding a Brexit deal with the main opposition will need “compromise on both sides” as she faced criticism for being inflexible. However after several days of talks Labour complained May’s team were rigid over her plan, while the talks sparked fury among some Conservatives who detest involving leftist leader Jeremy Corbyn. “We need to get a deal over the line and that’s why we’ve been looking for new ways to find an agreement in parliament — and that means cross-party talks,” May said in a video recorded at her country retreat Chequers. On the prospects of reaching a deal, the prime minister added: “It’ll mean compromise on both sides.” Time is running out for May to end Britain’s 46 years of European Union membership in an orderly manner. She will head to an EU summit Wednesday seeking to secure another Brexit extension, until June 30, to prevent Britain crashing out the bloc at the end of next week with no deal. The country’s original March 29 departure date was delayed last month to April 12 amid the paralysis in parliament. EU members, who must unanimously back any further delay, are growing increasingly impatient at the dysfunction in Westminster and want a clear plan to resolve it. Negotiations between the government and Labour are set to resume next week after a weekend of exchanges “clarifying our position”, according to shadow business secretary Rebecca Long Bailey. One of the Labour team in the talks, she told the BBC the lack of compromise so far was “disappointing” but the mood was “quite positive and hopeful”. “We are currently waiting for the government to come back to us now to state whether they are prepared to move on any of their red lines,” Long Bailey said. May has previously dismissed the idea because it bars Britain from striking its own trade deals around the world. Andrea Leadsom, a senior Brexiteer in her divided cabinet, said the government was talking to Labour “through gritted teeth”. She would not confirm if senior Tory eurosceptics would now accept a customs union, and hinted she would back a no-deal departure over a long delay. “For me, whatever we deliver, it has to be Brexit,” she told the BBC.